Is it your first time in Damascus? Take a look at the Frequently Asked Questions below to begin with. If you have more questions, please contact us. What is going on in Syria? Isn’t it absolute madness to go there now? Syria is definitely going through a major crisis at the moment but what is represented by the mass media is, in many cases, blown out of proportion and context. Damascus city, excluding some of its outer suburbs, is going about its life with relative normality thanks to God and its vigilant residents. In fact, all the footage and photos that are published on this website have been taken in the midst of the “Syrian crisis”. We definitely don’t recommend the faint-hearted to visit Damascus at the moment as they can still enjoy it through browsing this website. 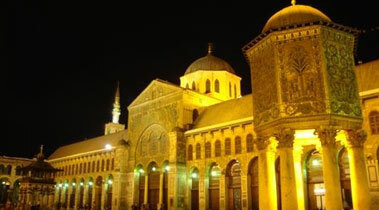 However, for those seeking the truth and wanting the real thing then the best way to visit Damascus is through a short and safe road journey from neighbouring Beirut. Why is this website launched at such a time of crisis? The website has been launched at this time because people need to know what Syria is truly all about. They need to know about the resilience, love of life, love of country, unity, loyalty, creativity, cultural richness, humbleness, courage, patience and faith that the Syrian people have and are still expressing despite all the hardship and terror that they are going through. Where should I start and what should I see? Take a look at the What to See section to check the many tourist attractions, galleries and more. 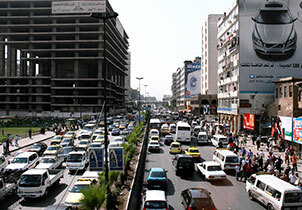 Damascus Life and Upcoming Events sections offer also a glimpse of the busy everyday life in Damascus. What is Damascus famous of? 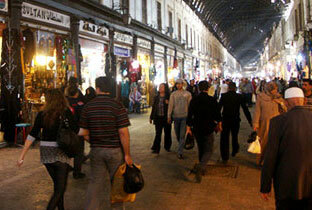 Damascus is the world’s oldest living city with traditions spanning thousands of years. We recommend taking a look at the Syrian Handicrafts, Syrian Cuisine pages and the Damascus People sections where you can learn more about the people, food and traditions of this amazing city. Damascus is very affordable and can match any travel budget. Check our Special Offers page for lots of money saving deals. 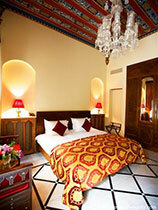 We recommend you stay in the city centre at one of the old city’s Boutique Hotels. 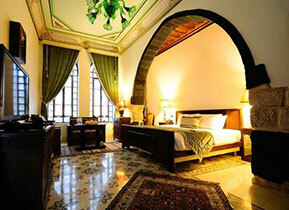 Bed and Breakfast rooms are also available in the old city. How do I move inside the city? 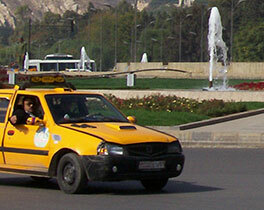 Public transportation is available around the clock and includes buses, micro buses and cabs. Cabs are the most expensive and can be the best option during rush hours (8 to 10am and 2 to 4pm). 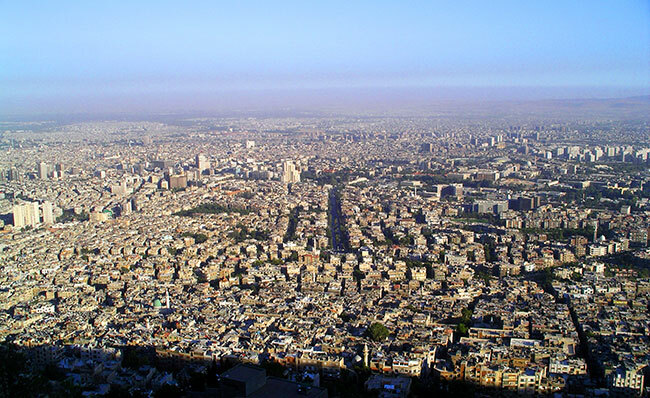 What is the spoken language in Damascus? The spoken language in Damascus is Arabic. Can I use my mobile phone in Damascus? Most dual and tri band mobile phones with GSM 900 or 1800 will work in Syria. Currently there are two mobile operators in Syria; Syriatel and MTN. Blackberry messenger is not supported by those operators. Where can I access internet in Damascus? 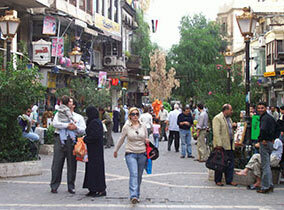 Many hotels as well as cafes and restaurants in Damascus have internet access. 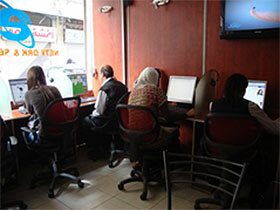 Internet cafes are also widely available across the city. When is the weekend in Damascus? The weekend is on Fridays and Saturdays. Some shops also close on Sundays. What are the airports in Damascus? How far is the airport from the city center? There is only one airport in Damascus. Transportation from and to Damascus International Airport is available around the clock. The trip from the airport to the city center takes around 20min. What should I wear in Damascus? 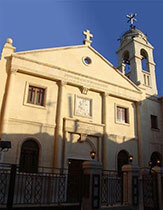 Damascus enjoys a mixture of cultures, religions and traditions. There are no rules for dressing, with that said use your common sense out of respect for the different cultures. How is the weather in Damascus? When is the best time to visit? The weather in Damascus is moderate. You will simply love Damascus at any time of the year especially during Autumn and Spring. While every effort and care has been made to ensure the accuracy of the information contained in this website, we cannot accept any responsibility for any errors or omissions, however caused, or for changes in details given in the website.